Did you know that the Literacy Area at Creating Together holds incredible opportunities for communication, language, literacy, and social skills? Reading aloud here not only improves expressive language and vocabulary, but also social skills such as imitation, turn taking, social interest, and the ability to maintain connection across space. On March 11 & 15, Creating Together hosted “Benefits of Literacy” information sessions, to share with parents and caregivers why reading to your child is such an important part of childhood development. Read below to learn what reading aloud to your child for 15 minutes per day will bring, while preparing them for success in school. Reading stimulates your child’s imagination. Children learn lots of new words through reading. Reading builds a child’s ability to concentrate. Children learn about the world through books. Reading builds a child’s listening skills. children gain awareness of letters and words. Children learn to appreciate the richness of language. Reading together brings you and your child closer. Children thrive on the positive attention at story time. 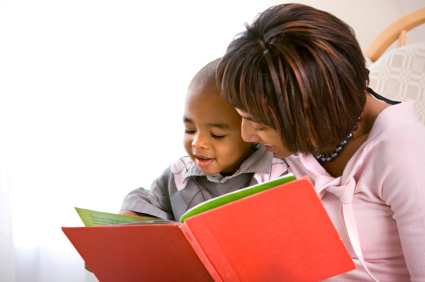 you will give your child a life long love of books by reading aloud regularly. Join us each Monday for Literacy Mondays! Every Monday at 9:30 and 1:30, Creating Together hosts “Literacy Mondays“, and we’d love to see you there. Come read and sing along with parents/caregivers and a staff member. This program is designed for one-on-one or small group storytelling, featuring developmentally appropriate books and CDs. Children also have a choice to listen to a story with headphones on their own.